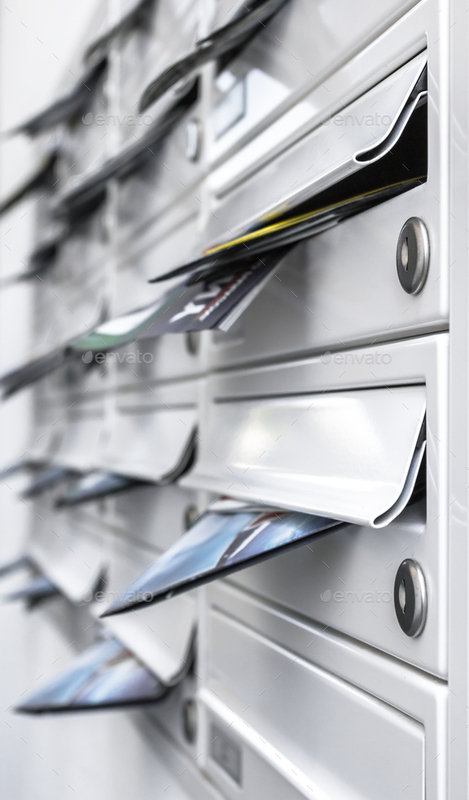 Modern mailboxes filled of leaflets. Business and advertising concepts. Shallow depth of field.